Birth Stories of Trinidad and Tobago is a YouTube series that documents the experiences of childbirth in TT. The series discusses topics such as home births, having a family member in the labour room and debates on public versus private healthcare. Identifying the need for local content on maternity issues, Fulbright scholar Tammy Kremer spent the past year traversing the country to speak with mothers, activists, midwives and other healthcare workers about childbirth. "I wanted to create content that's local. Many mothers told me that when they search for information, they found content from the US or UK, but not TT. My goal was to create a local resource for them from people in their own community that are focused in some way," Kremer said. A California native, Kremer, 30, was obsessed with maternity issues from a young age. As a teenager she enrolled in doula training and shadowed midwives around hospitals. Kremer wanted to be an obstetrician and a gynaecologist, but her love of documentary and visual arts led her into storytelling through film. "I did not want to be a clinician. I was an artist. I applied for the Fulbright Grant so in order to do that I proposed a specific project. Birth and maternity needs to be worked on in countries all over the world, save a few. There are mothers and infants who are dying for completely savable medical reasons. I didn't know the specifics on TT but I knew there was quite some work going on," she said. 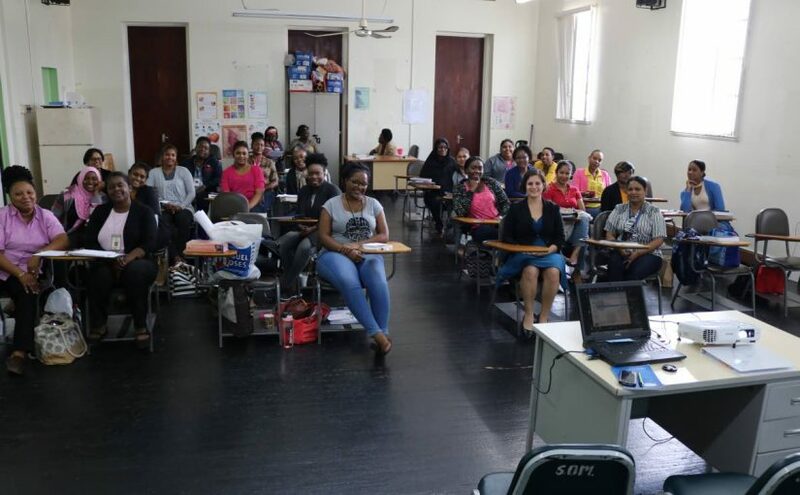 Kremer reached out associations such as TT Midwives Association (TTAM), Doula Alliance of TT (DATT), the Institute of Gender and Development Studies (IGDS), Mamatoto and Womantra. "I knew there were activists who were working on the ground. All these activists affirmed to me that there is room for documenting work to be done. So it became a natural fit to offer media and educational skills," she said. Her contacts with these organisations made finding local mothers easy. "By the time I got into their living room I was connected to someone either by a midwife, an organisation, a friend, so there was always a connection made before I arrived in their living room," she said. Some common themes Kremer encountered were public versus the private hospital experiences, home births and education. "I made a conscious decision to focus more on public sectors over private sectors. Some midwives deal with both. Had I known about home births in Trinidad I would have focused just on that," she said. Kremer has enough interviews to make 35-40 short videos on YouTube. "I've been walking this line between quality and quantity and I made a strategic decision that quantity actually feels important in this situation and it does not need to be the best film making or the best editing so my motto has been simple and elegant," she said. Sarah Burrows, 33 from Petit Valley, was one of Kremer's subjects. She discussed her labour at the public hospital. "I laboured at home for about 20 hours until we went to the hospital. Apparently I have a high pain tolerance so I walked into the room and going up the elevator, the midwife is coming, she was watching me saying 'you not ready yet', but I was seven cm dilated so I was very ready, but because I was very ready it was a roller coaster," she said. Burrows describes her experience with Kremer like vlogging. "It was like she was there, but it was not like she was telling me what to say. She was giving me pointers, but it was basically like looking at a screen and talking to yourself more freely," Burrows said. Kremer returns to the US at the end of the year, but she hopes to continue her work and partnership with the people in TT. She released 12 videos of Birth Stories so far and hopes to release more this year. The post Birth stories of TT appeared first on Trinidad and Tobago Newsday.